Alvin Braziel was sentenced to death for the slaying of 27-year-old Douglas White as he and his wife Lora White walked along a jogging trail encircling Eastfield College in 1993. A Texas inmate was executed Tuesday evening for fatally shooting a newlywed during a robbery more than 25 years ago. Alvin Braziel Jr., 43, received lethal injection at the state penitentiary in Huntsville for the 1993 slaying of 27-year-old Douglas White, who was attacked as he and his wife walked on a jogging trail. Asked by the warden if he had a final statement, Braziel thanked supporters and apologized to the victim's wife, Lora White. "I would like to apologize ... for her husband dying at my hands," Braziel said from the death chamber gurney. He also said he loved the White family and a person he named but who was not present, then told the warden he was finished. As the sedative pentobarbital began taking effect, he took a couple of breaths, gasped, then snored loudly three times. The fourth snore was noticeably less pronounced, and then all movement stopped. Braziel was pronounced dead 7:19 p.m., nine minutes after the drug began. Braziel became the 24th inmate put to death this year in the U.S. and the 13th executed in Texas, the nation's busiest capital punishment state. He will be the last Texas inmate executed this year. The execution was delayed about an hour after the six-hour window defined by the warrant began at 6 p.m. The Texas Court of Criminal Appeals rejected a last-minute appeal from Braziel's attorneys. A brother of Douglas White and two friends attended the execution but declined to speak afterward. Braziel selected no one to witness his death. In 1993, as Douglas and Lora White walked along a community college jogging trail in the Dallas suburb of Mesquite, Braziel jumped out from behind some bushes with a pistol in his hand and demanded money. The Whites, who had only been married 10 days, didn't have any money on them but told Braziel they could get him some and they started walking back to their truck. But Braziel became angry with the couple and ordered them to the ground. "Doug ... was praying, asked God to forgive him and Lora their sins because they both knew that this was it," said Michael Bradshaw, the lead detective on the case for Mesquite police. "The last thing Doug said before Braziel fired the first round, he said, 'Please God, don't let him hurt Lora.'" Braziel shot White once in the head and once in his heart. Bradshaw said he believes Braziel would have also shot then-24-year-old Lora White but his gun malfunctioned. Braziel instead took her to bushy area near the trail and sexually assaulted her. Douglas White's murder was featured on the television show "America's Most Wanted" and a $20,000 reward was raised by the chiropractic college he had worked for as an electrician. Bradshaw said more than 40 potential suspects were interrogated and had their blood drawn for testing. But White's murder remained unsolved for over seven years. "I really didn't know that I would ever be able to solve it. But I really did not give up hope," said Bradshaw, 63, who retired from Mesquite police in 2012. Braziel was eventually tied to the killing in 2001 after he was imprisoned for sexual assault in an unrelated case and his DNA matched evidence from Lora White's assault. At his trial, Braziel said he wasn't near the college during the killing. Braziel's attorneys didn't immediately reply to emails and calls seeking comment on Tuesday. 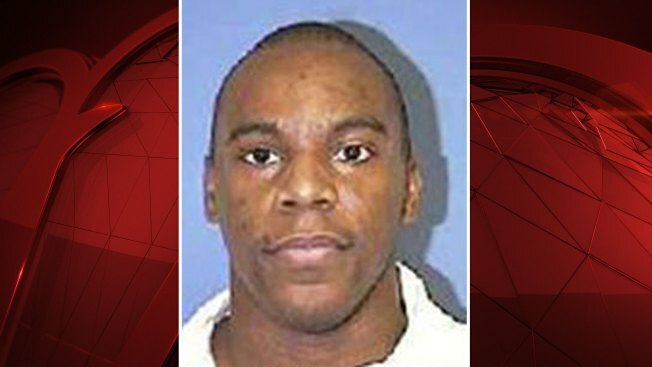 Last week, his lawyers asked the Texas Court of Criminal Appeals to stop his execution, arguing in part he should not receive lethal injection because he is intellectually disabled. The Supreme Court held in 2002 that people convicted of murder who are intellectually disabled cannot be executed. Braziel's attorneys later withdrew their request. Courts had previously turned down Braziel's appeals that have focused on claims of mental illness and that he had suffered a childhood brain injury, saying Braziel refused to be examined by a mental health expert during his trial and that his family declined to help his defense attorneys obtain evidence of any mental health problems in Braziel's family. His attorneys also filed a last-minute appeal Tuesday, arguing that an emotional outburst at the 2001 murder trial from Lora White was unfairly elicited by prosecutors when she was shown on the witness stand a photo of her husband's autopsied body. Bradshaw said he still keeps in contact with Lora White and that she started a new life and is doing well. "Lora wants it known that she's prayed for Alvin Braziel and his family," Bradshaw said.